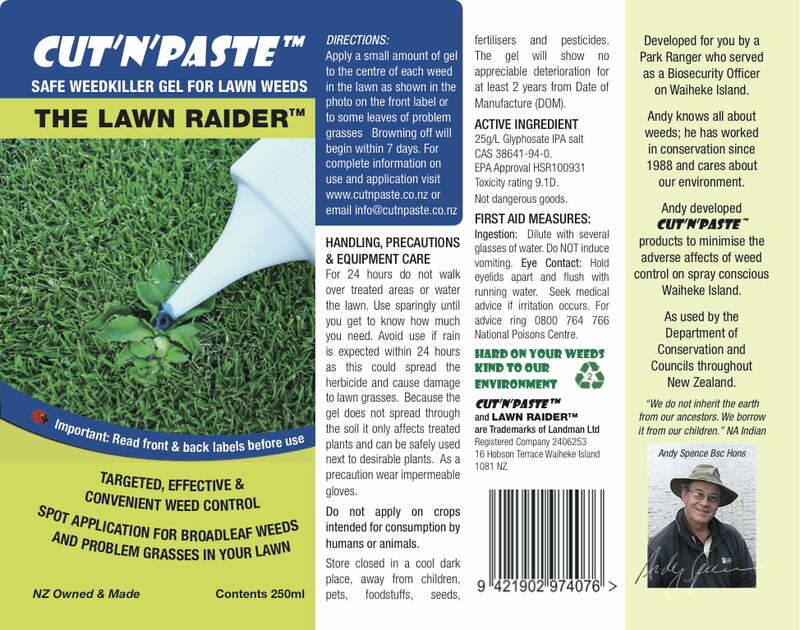 Cut’n’Paste Lawn Raider. 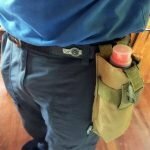 A blue Weed Gel in a convenient dropper bottle for spot application to problem weeds in lawns (25g/L Glyphosate). 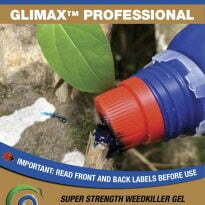 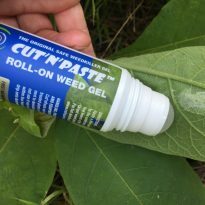 Designed to apply very small amounts of blue dyed gel to problem weeds in your lawn. 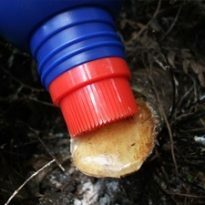 No need to get out the spray pack and mix messy chemicals. 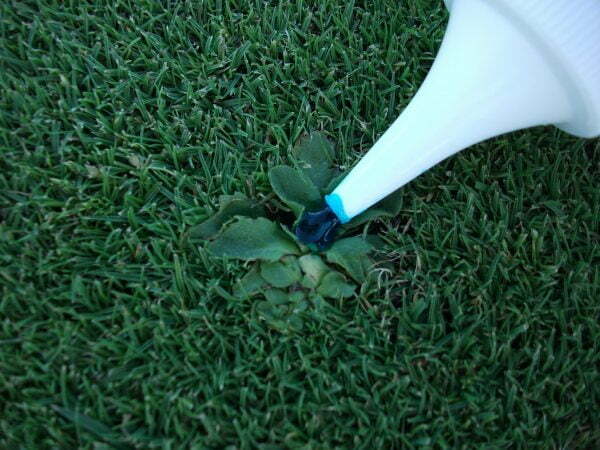 Carefully target the weeds you want to kill. 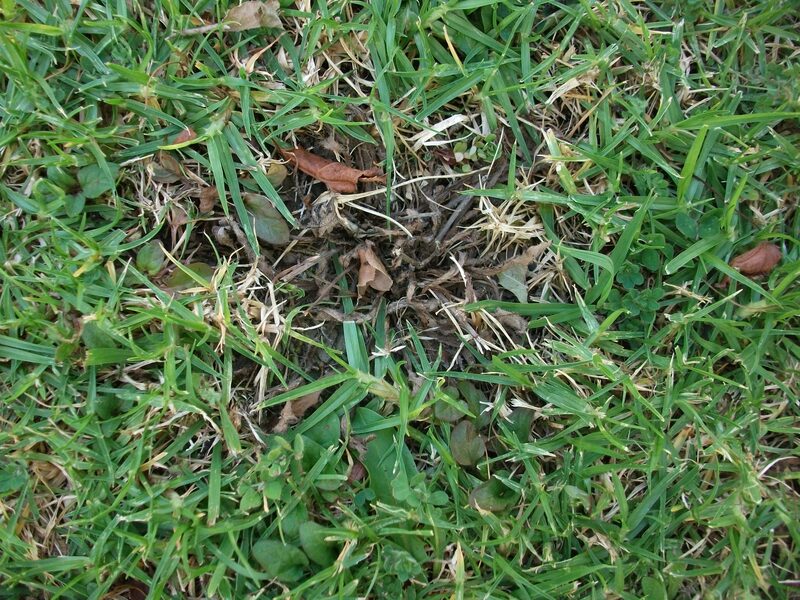 Use sparingly with care on your persistent perennial lawn weeds such as docks and dandelions, wild carrot and other strongly rooted weeds. Also great for paspallam and couch grass as well as kikuyu and pampass. Rain soon after application will cause spread beyond the area of application. 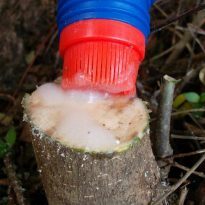 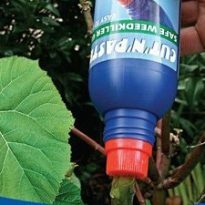 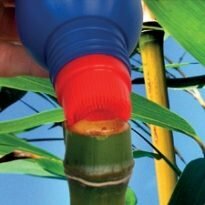 The herbicide in Cut’n’Paste will kill any plant into which it comes into contact with before it enters the soil. 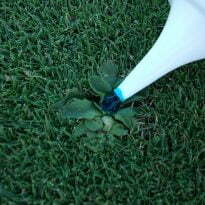 In the soil glyphosate is inactived and metabolised.